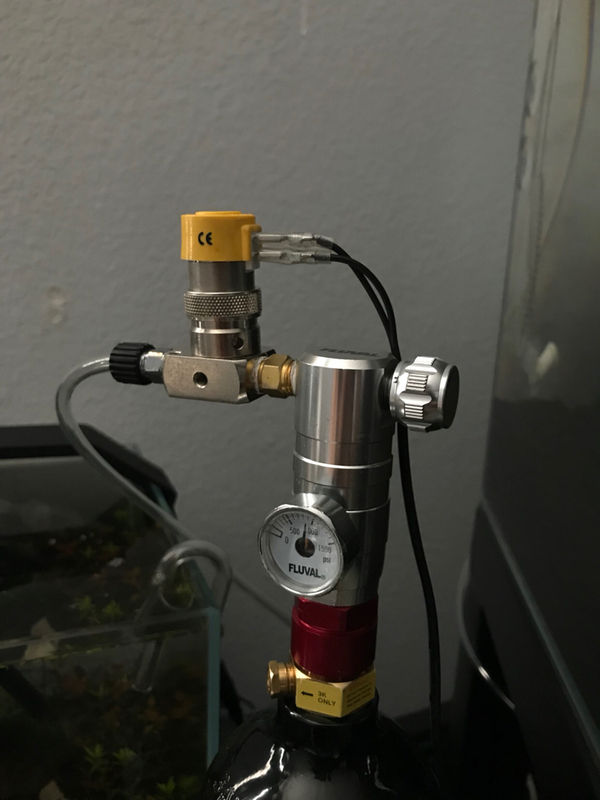 Wrote a quick DIY on how I built my regulator off a fluval 88g kit. Hope this helps many to come, as I had a hard time finding the parts/ information needed to build this. Has anyone else tried this link? It doesn't work for me, and I'm very interested in the instructions. What part is your main issue? Inlet adapting is fairly well documented here and there. Will this fit the Tropica co2 nano set? It uses 95g disposable cartridges and has a small regulator similar to the Fluval 88g. As to outlet threads.. that could b figured after removing it. You really wouldn't need to if you just use hose from it to a hose barb on your solenoid.. It would b "loose' but fully functional..